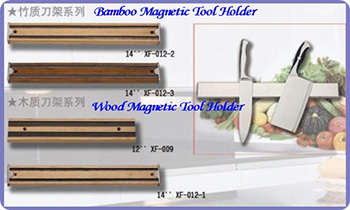 China Rare Earth Magnet Limited manufactures magnetic tool holders and magnetic knife holders used in kitchen, office. 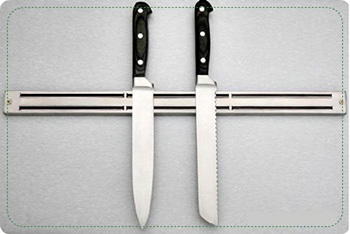 Such magnetic assembly is used to attract steel parts and hold them to a fixed position with permanent magnetic strength, such as screwdrivers, pliers, bottle opener, scissors, knife and so on. 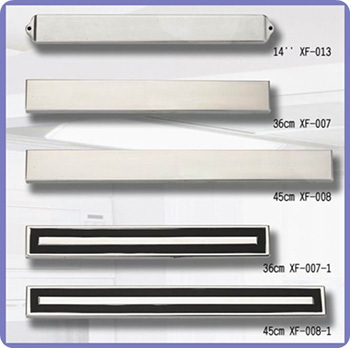 It is conventionally composed of hard plastic, hard wood or stainless steel and neodymium magnets or ferrite permanent magnets, and it can be customized as per specifications and drawings from customers. The shape and size can be designed to make according to customer needs. 3. Magnetic tool holder made by oak and magnet. 4. 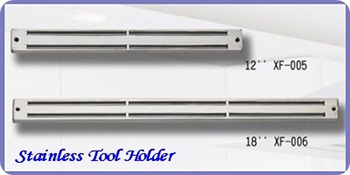 Magnetic tool holder made by stainless steel 201 and strong magnet. The shape and size can be designed to make according to customer needs. 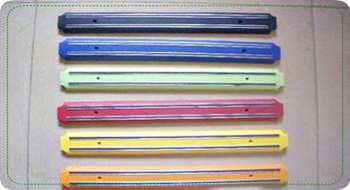 The shape and size can be customized accordingly. 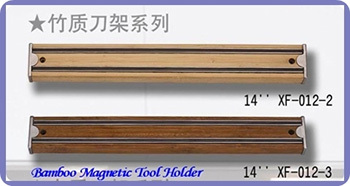 What is more, the magnetic tool holder also can be made by the high-quality aluminum and high-performance magnetic material. 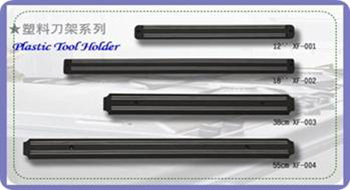 Welcome to send us your designs and drawings for customized permanent magnet tool holder.